Viruses are always pathogens as they can only grow and reproduce within other living things (parasitic), this also means they are not living cells as they do not complete all life processes independently. 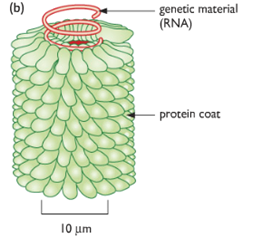 Genetic material is in the form of DNA/RNA. 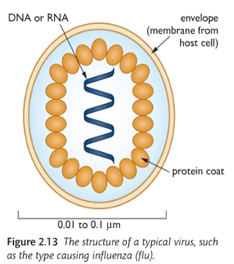 A virus is approximately 0.01-0.1μm in length and is the smallest microbe.